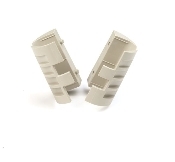 MetroMax IQ Replacement Tri-Lobal adapters come in a bag of 4 assemblies, (2) adapters total. For use with MetroMax iQ Handles. The adapters are designed to work with the new MetroMax iQ Storage System and are not compatible with original MetroMax.